TechNote#1: These panels are fabricated here at our shop . . . it’s the only way we can maintain consistency. It’s also the only way we can be completely sure that, as components or assembled, these panels have never been stored outside . . . a common practice of the big box home centers here in the metroplex. 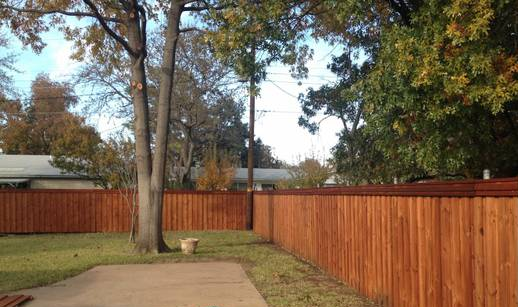 TechNote#2: In the photo to the right is a fence that one of our customers just finished. It is this product pre-sealed with Readyseal Mahogany (Dark Red). 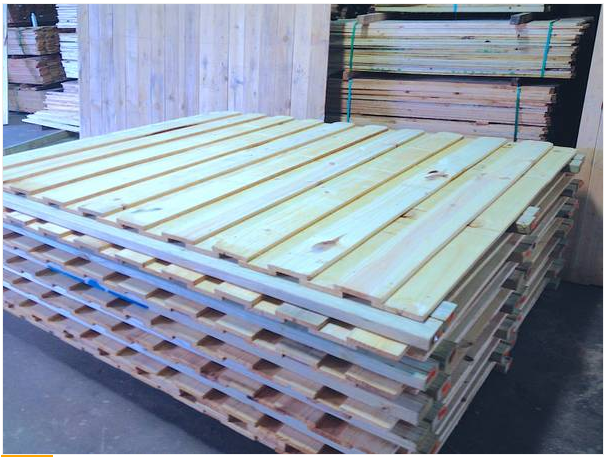 As you can see, it’s indistinguishable for Western Red Cedar, and it’s 2 or 3 times as strong. TechNote#3: A good load for a half ton pick up is 10 and for a dual axle trailer, 30 (the current records are, however, 23 and 80, respectively).